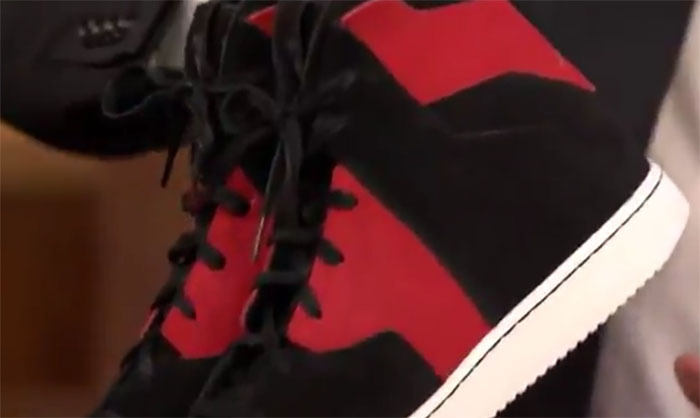 The best look yet at the rumored Westbrook 0.2. 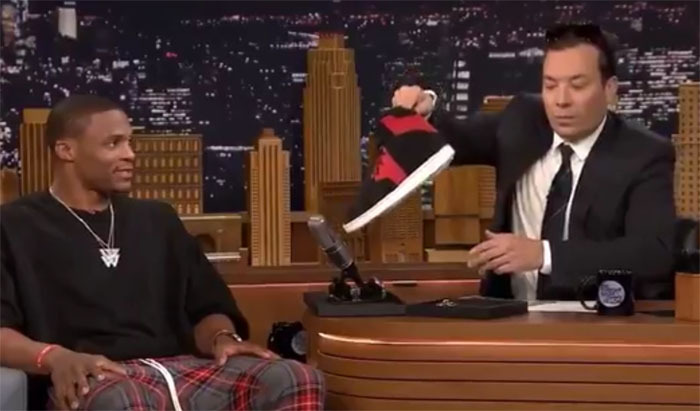 Fresh off his tour of China and appearance at Yeezy Season 4, Russell Westbrook stopped by The Tonight Show Starring Jimmy Fallon to talk fashion and his latest ventures. 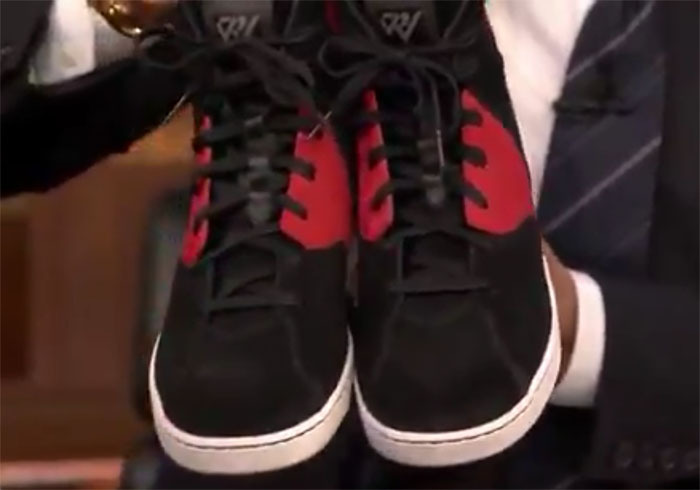 In addition to projects with True Religion and Barney's, Westbrook spoke about his next Jordan signature shoe and even offered an early look. Rumored to called the Westbrook 0.2, the new silo made its late night debut in the iconic "Banned" colorway. 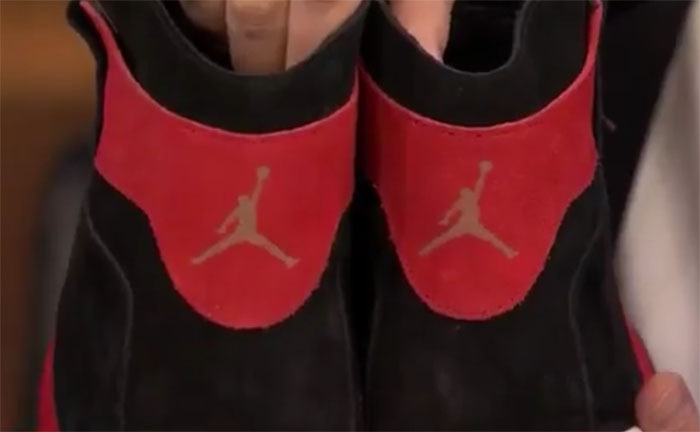 The shoe not only features the aggressive black and red scheme, but is equipped with Air Jordan 1 tooling. As of now, there's not a confirmed release date for the new Westbrook Jordans, but recent public showings indicate an announcement soon.